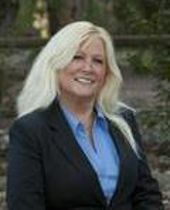 Alden Cole has over 25 years of real estate experience and is a licensed realtor. She is the Sales Manager at ELITE Homes San Diego. Alden literally speaks with hundreds of prospects each week, this keeps our agency's list of potential buyers very fresh, allowing us to find buyers quickly for our clients who have listed (or plan to list) their homes with us. Alden calls Carmel Valley her home and spends a great deal of time training her prize winning German Shepard.